This is a fun and page-turning read about eugenics, institutionalized child abuse, and genocide. What it really requires is the sense of wonder and innocence that only a child can have, and so, the people in charge of Earth’s governments start a breeding program to turn out kids designed to be excellent space warriors. The children are all tagged so the authorities can monitor all their thoughts and movements, while they are being evaluated for service in the International Fleet. (A device that is similar to an iPhone, but a little smaller, and you can’t download your own apps to it.) After he is un-tagged, a young Ender Wiggin is attacked by bullies, and he kills one of them, so that the bullies will no longer bother him. The IF realizes it has made a horrible mistake. This is just the kind of ruthless logic they need in their war. 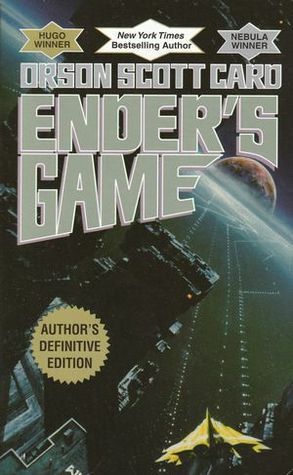 The rest of the novel follows Ender’s rise through the ranks at Battle School and Command School, a marginally creepy shower scene, and eventually, the set up for an excellent sequel, The Speaker for the Dead. Alltop is wiggy to the end. Originally published in December, 2010. And no, I haven’t seen the movie yet. I read it many years ago. The chilling thing is that, for the kids, fighting the aliens is basically a video game, like the push-button drone warfare the Americans are using in Iraq, Afghanistan and Pakistan. I remember staying up nights reading this with a flashlight. Good stuff. Sense of wonder: check!